Tunnelportal, enkelspår, genomfartshöjd 72 mm. Single-track. Wing walls can be snapped off. 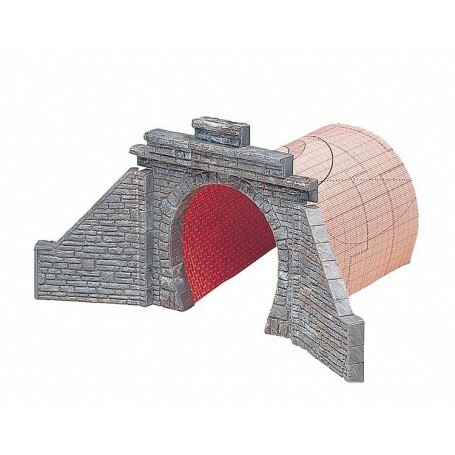 With brick panel for tunnel entrance and additional wall parts. This building kit contains: 5 single parts in 1 colour and 1 construction instruction.